Starting from the principal-agent perspective, this book offers a new analysis of government. It interprets political institutions as devices designed to solve the omnipresent principal-agent game in politics. In other words how to select, instruct, monitor and evaluate political agents or elites so that they deliver in accordance with the needs and preferences of their principal: the population. This book explores whether there are any evolutionary mechanisms in politics which guide mankind towards the rule of law regime, domestically and globally. It combines a cross-sectional approach with a longitudinal one. 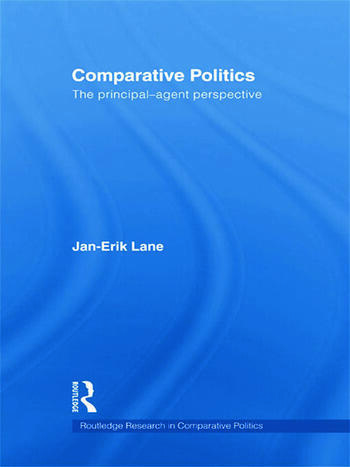 Comparative Politics - The Principle-Agent Perspective will be of interest to students and scholars of comparative politics, government, political theory and law. The Regional Regimes: Will They Replace the State? Can Stable Authoritarian Regimes Survive? Jan Erik-Lane, University of Freiburg.